Looking for a creative and fun lunch idea for the kids? 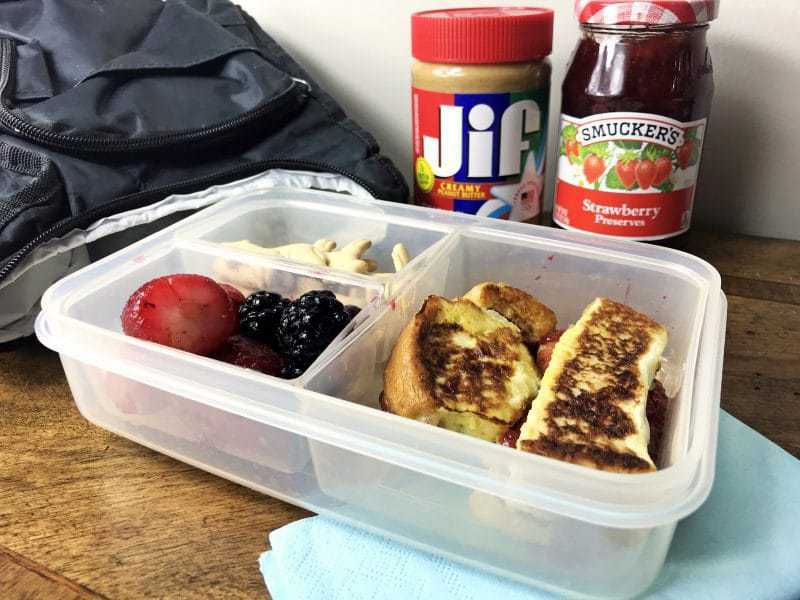 These fun and tasty PB&J French toast stick sandwiches are a quick and easy lunch that the kids will love. As break comes to an end and the kids head back to school, parents return to looking for fun and creative lunch ideas for their little one's lunchboxes. The go-to lunch in our house is the traditional peanut butter and jelly sandwich – aka PB&J. 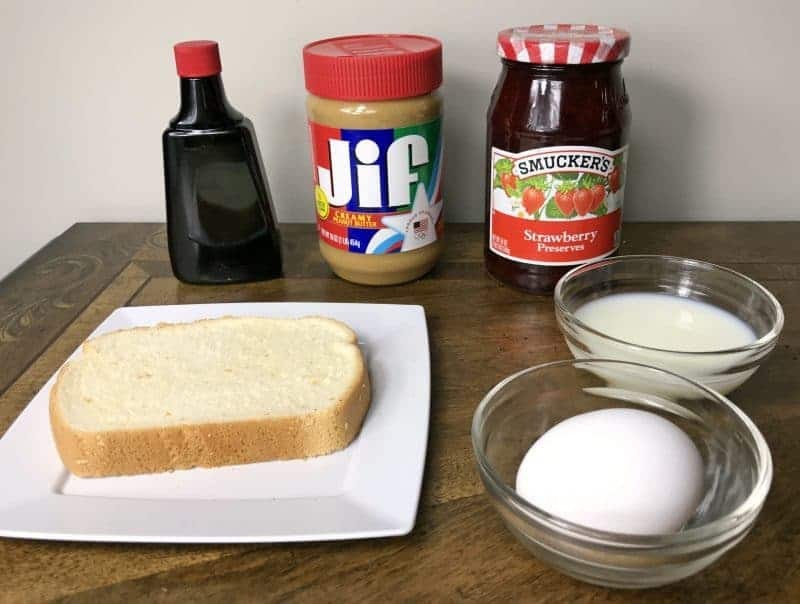 Not only are PB&J sandwiches super easy to make, but they taste amazing too. 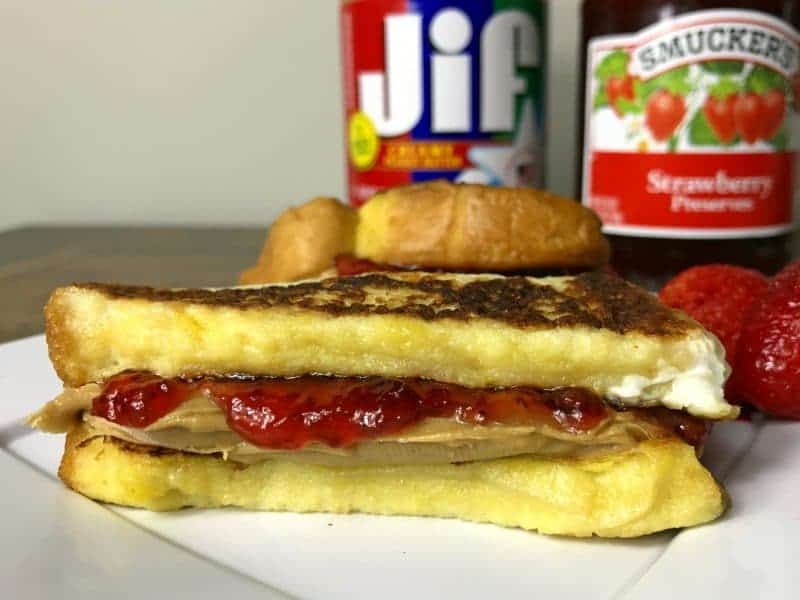 We make our PB&Js with Smucker's and Jif because we love the delicious combination of Smucker's sweet strawberry jelly and the creamy, fresh roasted peanut taste of Jif. But, sometimes I want to add a bit of fun and creativity to lunch by switching things up. 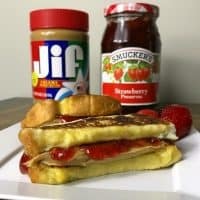 That is how I came up with this fun back to school recipe for PB&J French toast stick sandwiches that I will share with you today. 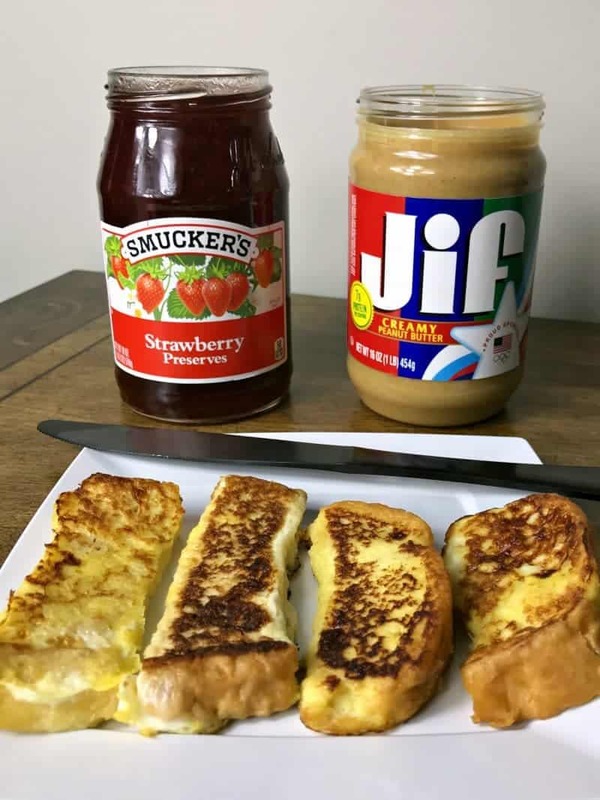 These PB&J French toast stick sandwiches are super easy to make, using your choice of sandwich bread, eggs, milk, Smucker's jelly, and Jif peanut butter. 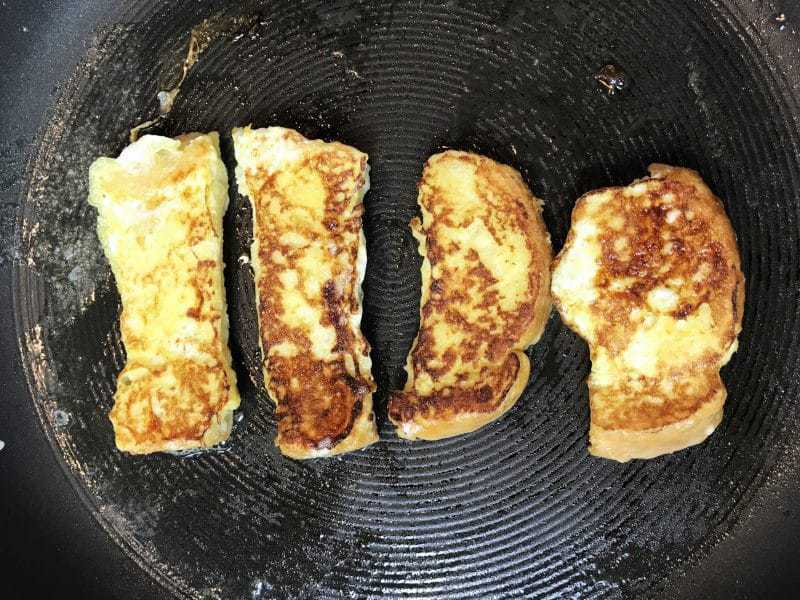 Simply cut your bread into sticks, batter, and make into french toast. Then, pair up the sticks to make into the perfect finger-sized PB&J sandwiches. 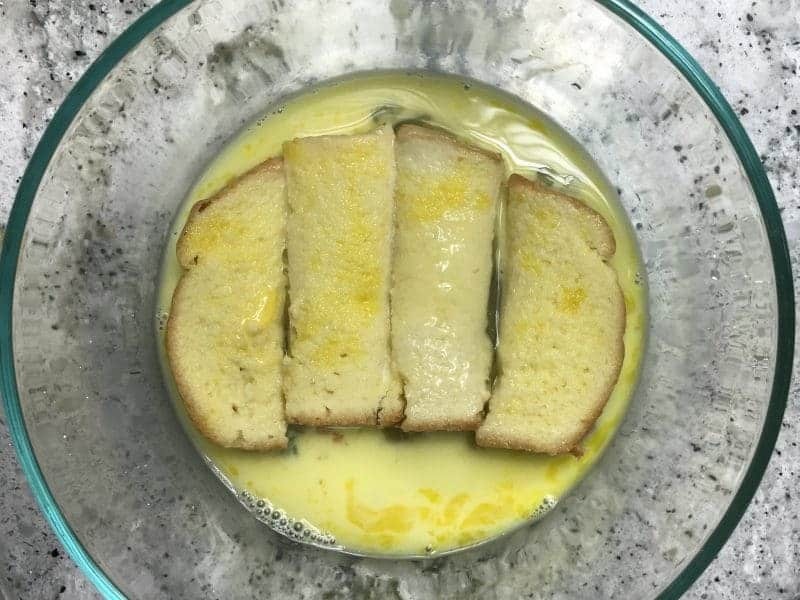 Cut bread into 4 strips and set aside. Combine eggs, milk, and vanilla in a bowl and beat lightly. 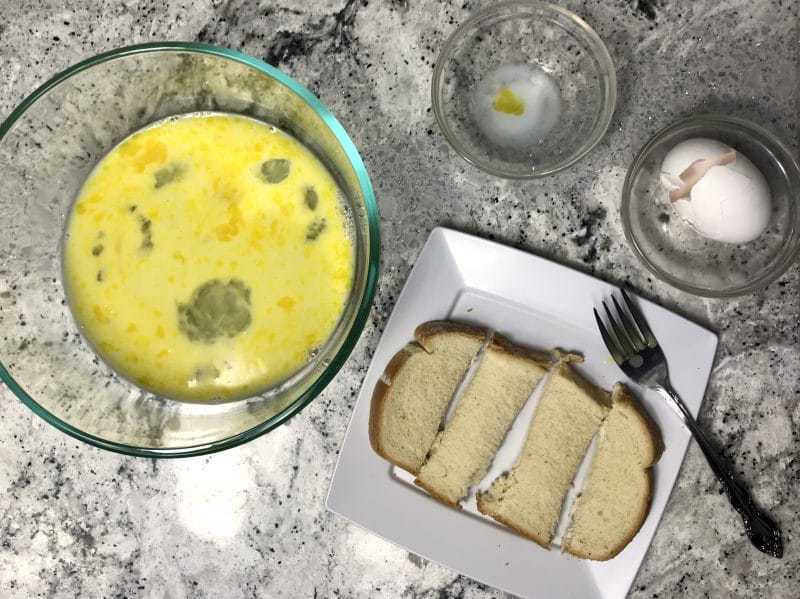 Coat the bread with the egg mixture on both sides. Heat a skillet over medium heat and grease with butter. Cook the French toast sticks until golden brown on both sides. Remove from pan and allow to cool. Once cooled, spread peanut butter on 2 of the French toast sticks, and spread jelly on the remaining 2. 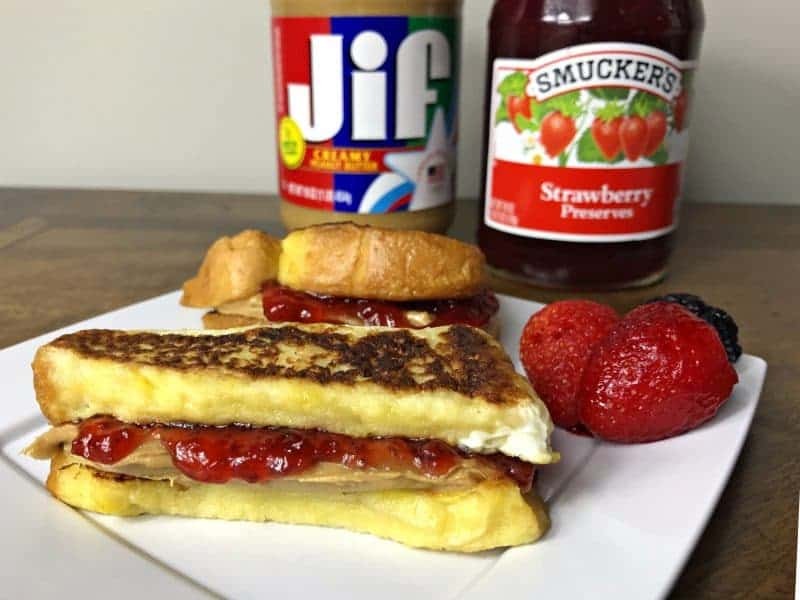 Our family's favorites are Smucker’s® Strawberry Preserves and Jif® Creamy Peanut Butter. Finally, pair up the jelly-coated French toast sticks with the peanut butter-covered French toast sticks to make your sandwiches. That's it. Easy peasy! 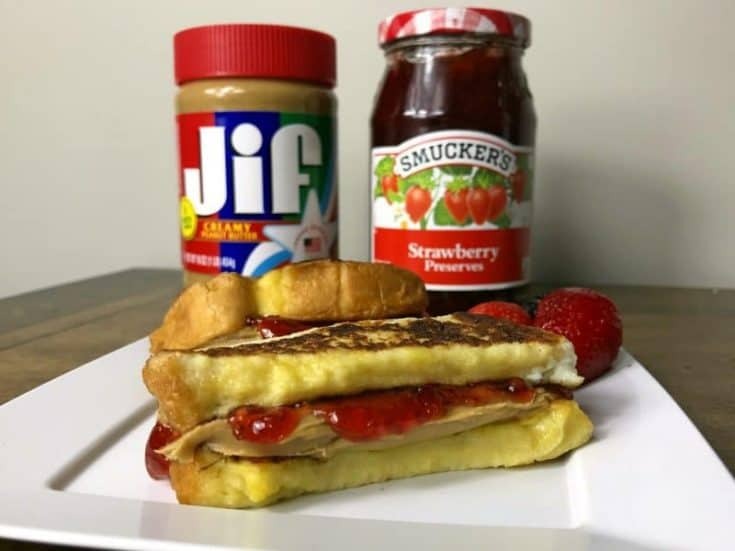 I hope that you and your kiddies enjoy this tasty PB&J French toast stick sandwich recipe. 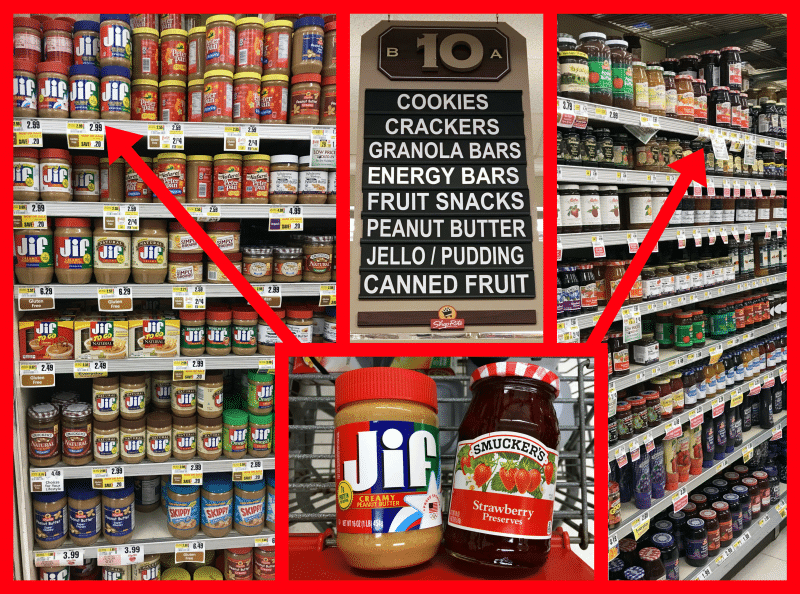 Pick up Smucker's and Jif products now and save with the Ibotta app. Through 2/3/18 you can get $.50 off each individual Jif and Smucker's product, with a $1 bonus if you buy both products. I found both the Smucker's and Jif products in the cookie and cracker aisle at my local ShopRite. Cut bread into 4 strips and set aside. Combine eggs, milk, and vanilla in a bowl and beat lightly. Remove French toast sticks from pan and allow to cool. Spread peanut butter on 2 of the French toast sticks, and spread jelly on the remaining 2. This is an awesome idea for lunches.My kids always hated most sandwiches and complained of them tasting too sweaty after sitting for half a day before they got to eat them.These sound perfect and could probably get changed up with different jams and /or cheese or whatever. Never tried it this way, but it looks so yummy! I showed my daughter and now she wants me to go Fox her some. So I guess we will be trying this now. Thanks for the info. I would eat this in a heartbeat. Very yummy twist on PB&J sandwich. wow these are so easy and simple to make ! i am going to try these i think my daughter would love them just like myself. Thank you for sharing. We all love peanut butter and jelly anyway. These are so much nicer than using plain bread – and more nutritious, too.